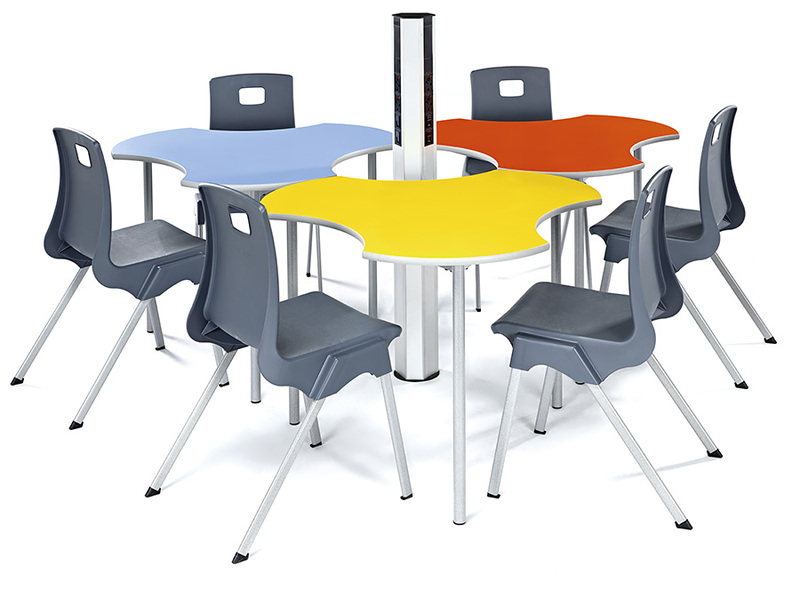 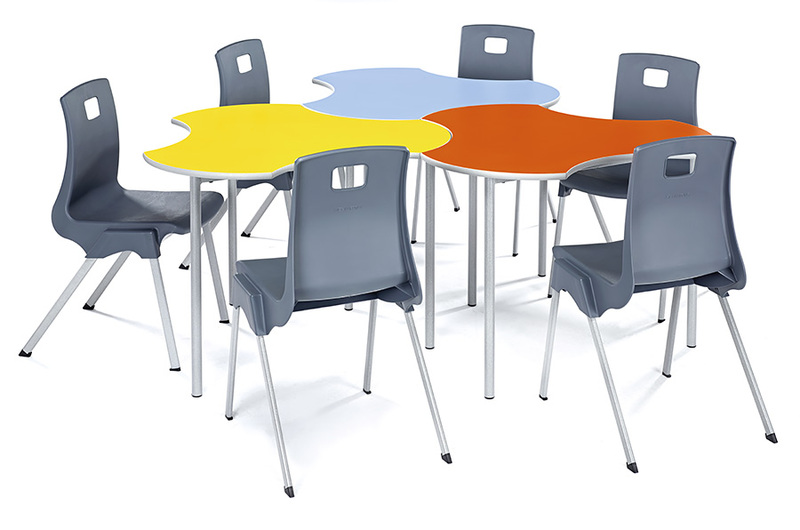 The Connect modular classroom tables are supplied in packs of 2 and have been designed to seat one person but can seat up to 3 when a full working space is not essential. 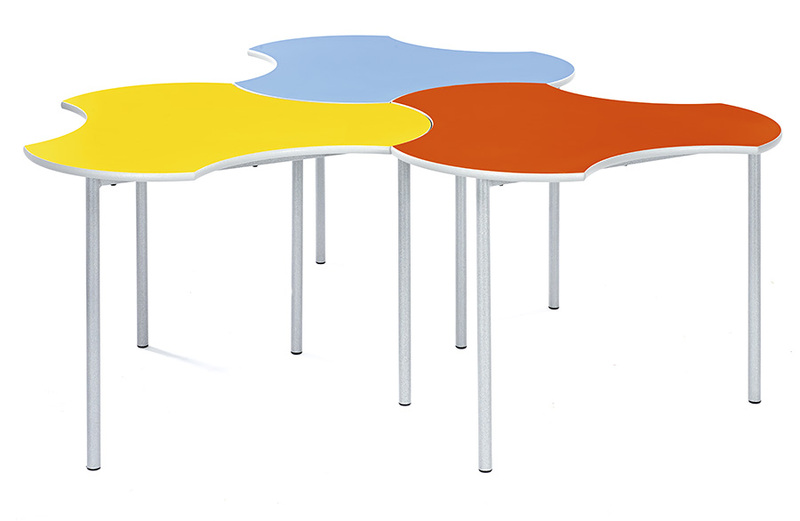 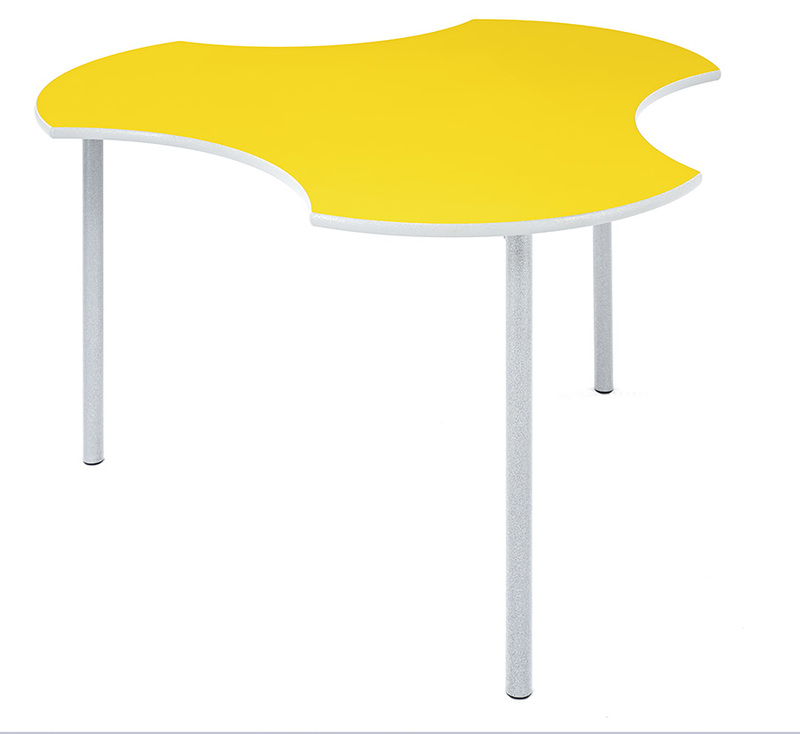 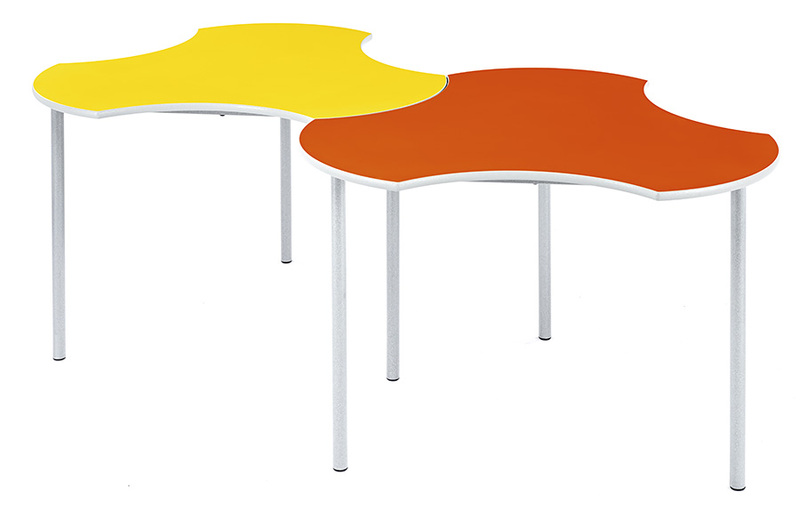 The unique shape of the connect tables allows you to create multiple fun shape combinations within your classroom. 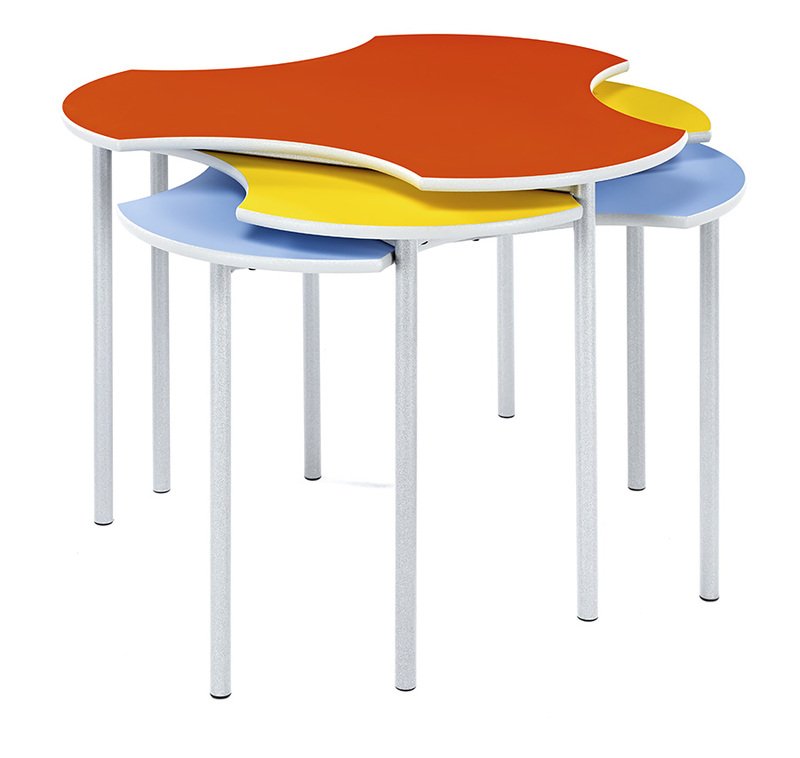 Connect tables are stackable for easy storage when not in use. 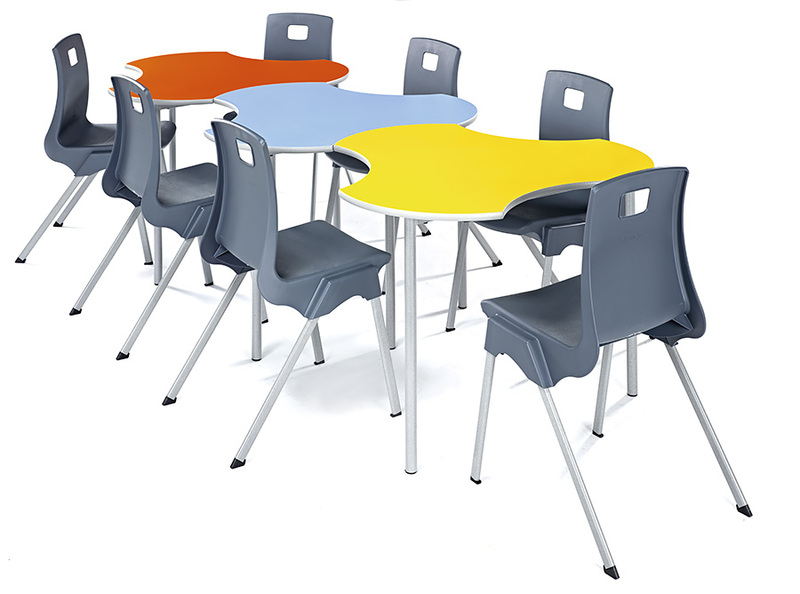 Available in 6 heights making them suitable for all ages from 3 to 14+ years. 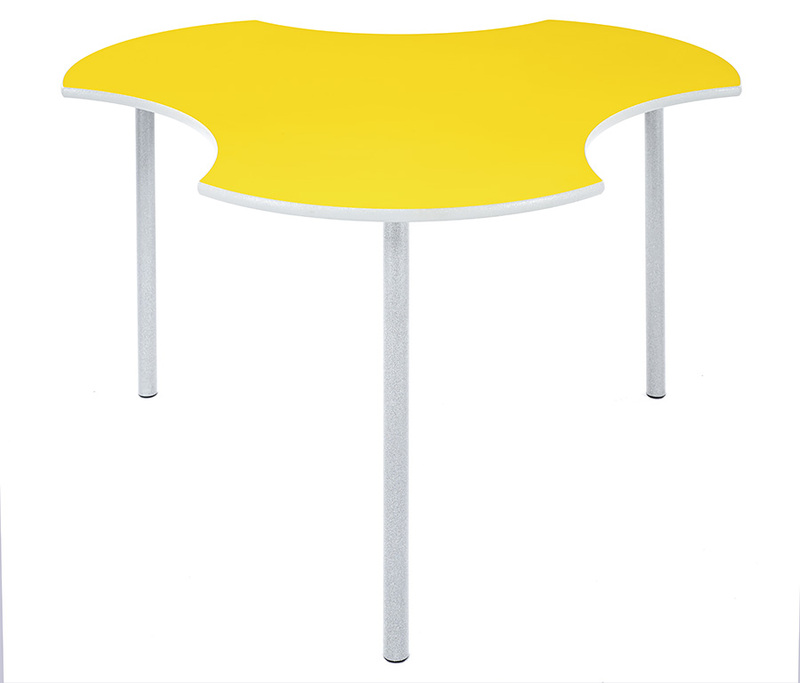 The tables are manufactured with a sturdy 32mm fully welded steel frame which has a speckled light grey finish. 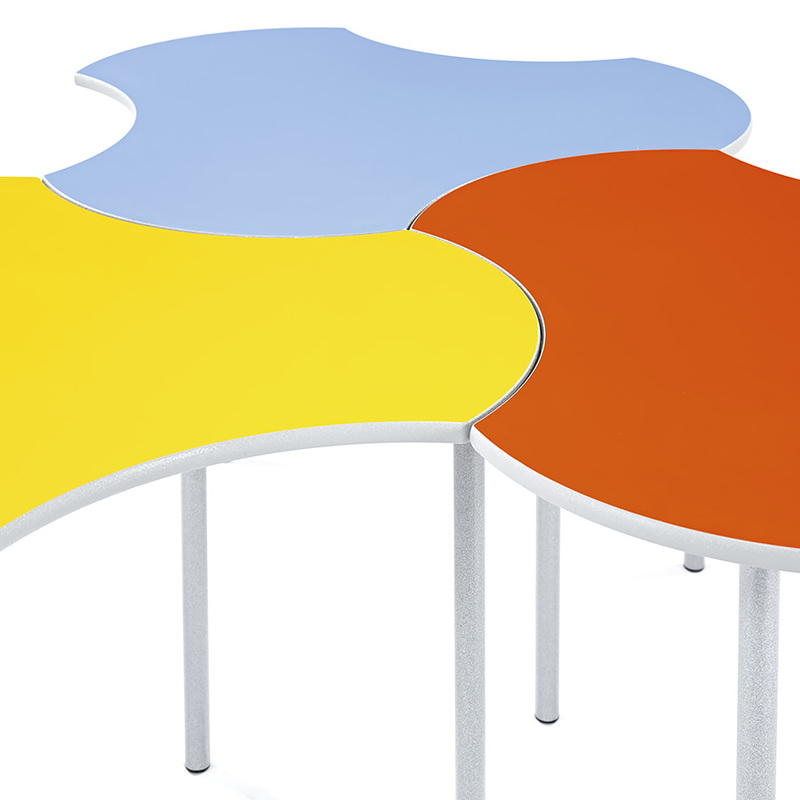 The 18mm laminate table top, which is available in a range of 11 vibrant colours, also features a durable spray PU edge which is hard wearing and comes either blue, light grey or charcoal. 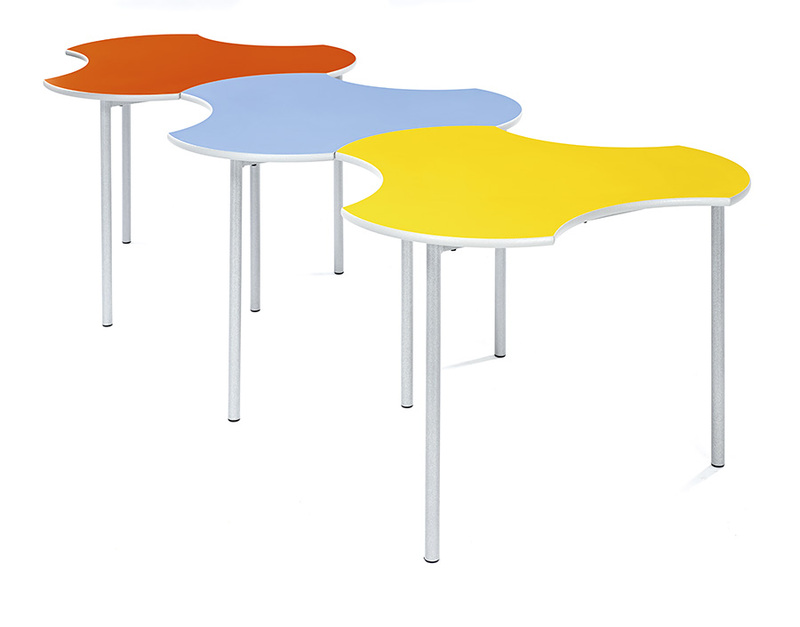 Connect tables, sold in packs of two, are fully EN1729 compliant, and include a 5 year warranty.